You are here: Home / Celebrity Video / Sabrina Carpenter’s Lyric Video For “Can’t Blame A Girl For Trying” – Watch Here! Sabrina Carpenter’s Lyric Video For “Can’t Blame A Girl For Trying” – Watch Here! 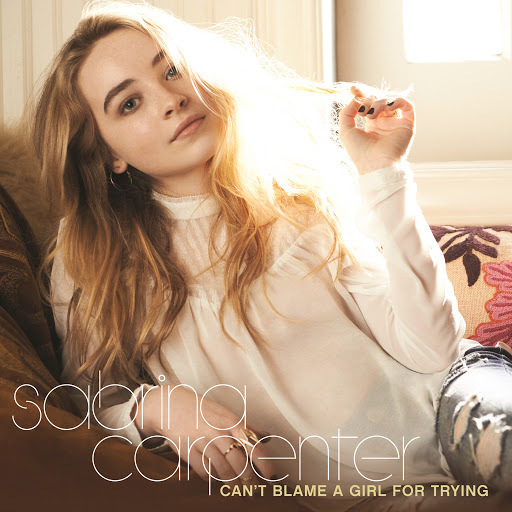 Disney Channel star Sabrina Carpenter may have released her first single “Can’t Blame A Girl For Trying” a couple of months ago now and we just keep playing it over and over again. However, sometimes we may mess up the words, but others learn the words quickly. For those of us who may not know all the exact words, Sabrina has released the lyric video for the single! The lyric video even gives us a behind the scenes look from shooting the actual music video. Check out the lyric video for “Can’t Blame A Girl For Trying” by watching the video below and let us know what you think by commenting! « Zendaya Coleman Reacts To Leaving Aaliyah Film & The New Casting! – Find Out What She Had To Say Here!